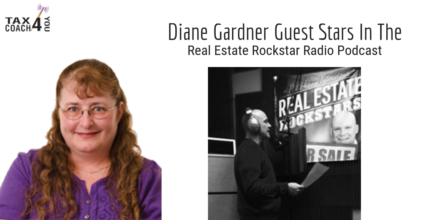 Diane Gardner guest starred on the Real Estate Rockstar Radio podcast with show host Pat Hiban. On this episode, we cover the one change to tax law that affects almost all agents, examples of first-year write offs, and much more! 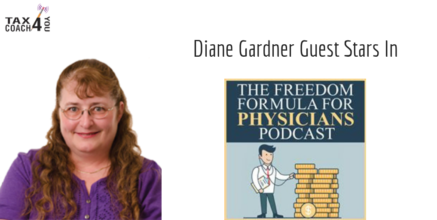 Diane Gardner guest starred on the Doctor Freedom podcast with show host David Denniston. 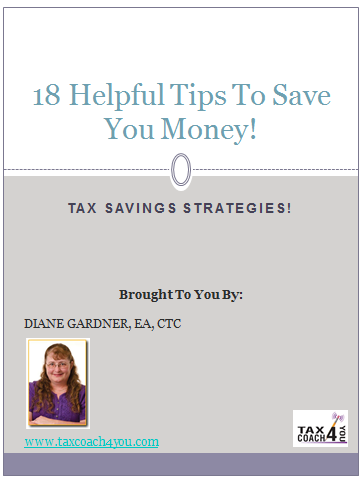 On this episode, we discuss the changes for W-2 earners and 1099 earners, how to save on taxes in the future, and more!